Nothing is easier to ignore than garbage. It is, after all, gone tomorrow. And because garbage is easy to ignore, it's easy to misunderstand. It's the perfect object of presumption. We simply presume that garbage, as we know it today, has always been with us in some form or another, since time immemorial. Heather Rogers' 'Gone Tomorrow: The Hidden Life of Garbage' takes a very interesting look at recent history as seen through the recent history of garbage. It's not, as we might surmise, something that has always been with us. Garbage is the focus of economic, social and technological forces that are usually quite well hidden, beneath -- garbage. Rogers' book is fascinating, didactic and consistently surprising. It's well-written, passionately argued and admirably short. Rogers starts off the book with two introductions. The first lays out some of the general parameters for waste production, pretty much as you’d expect. The second introduction follows your trash from the curb to its eventual destination, defining what Rogers calls "the waste stream." Once you've got these two measuring sticks, Rogers, dives into her main narrative, which is a history of garbage. Garbage as we know it today, she explains, was born in the wake of the industrial revolution, and especially as the result of the dramatic excess of production capacity that America found itself with after the end of World War II. We have garbage as we know it not because we need to discard it so much as because someone, somewhere needs to produce. Rogers' history of western civilization via garbage is a surprisingly gripping reading experience. Yes, as you might expect, it is at times stomach churning, such as when she's explaining how some sausage was originally made from, well -- garbage. But just as often, she delves into the fascinating corners of history and ties together diverse and unexpected forces to create a wonderful and compelling sort of alternate history. 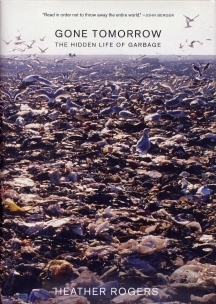 Not that she's invented anything, but rather, by looking at, as the title states, "The Hidden Life of Garbage", Rogers offers an entertaining and informative view of how we literally got ourselves into this big mess, the life of consuming and wasting that now seems so unavoidable. Never has this mess been made so crystal clear. Rogers is clearly influenced by the economic analyses of Karl Marx as they pertain to the forces of capitalism. She's not a card-carrying Marxist, but rather a keen intellect willing to use the most appropriate tools to dissect how and why the forces of capitalism and big business created the systems of disposal we currently endure. She never seems strident, only relentless and logical. The clarity she brings to her analysis makes it quite entertaining to read. For a book on the capitalist implications of the waste stream, 'Gone Tomorrow' is really zippy reading. Rogers also covers the fascinating (to me at least) technology of waste disposal. The modern landfill, the so-called "sanitary landfill" was invented in 1934 by Jean Vincenz and the first landfill was built in Fresno, California. Based on the English innovation called the "controlled tip", Vincenz's creation was spread most effectively during WWII by, not surprisingly, the Army Corps of Engineers. But the tech itself, from the Claymax lining to seagulls swirling overhead, is discussed in fascinating detail. This is also pertinent detail, as this style of landfill is still pretty much the industry standard, a standard that Rogers explains helped to drive the consolidation of the disposal industry to the point we’ve reached today, where three companies control nearly all the waste disposal in this country and much of that abroad. Much of the history of garbage is wrapped up in PR, and here Rogers really gets into some great storytelling as she recounts the creation of the first big effort of "greenwashing", Keep America Beautiful. Yes, you read that right, and you'll no doubt enjoy reading Rogers' account of how container companies and petrochemical companies created Keep America Beautiful to re-frame, as we say today, the discussion of who, precisely is responsible for trash. If you thought that the history of Keep America Beautiful and the mission of Keep America Beautiful would themselves be beautiful, you'll quickly find otherwise. 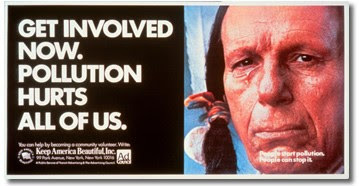 Rogers enthusiastically trashes the powers behind the iconic image of Iron Eyes Cody. Oh yes, those eyes are crying, but not, perhaps for the reasons you might guess. As Rogers covers recycling she winds up talking about the real causes of the all the garbage. 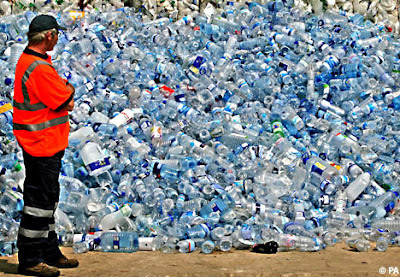 The companies that make bazillions of dollars manufacturing packaging and all the items that we throw away (with some exceptions, that is so called "wet garbage" and kitchen waste) are selling it to us specifically so that we can throw it away and buy more. You're likely to find yourself looking at every tin can, glass bottle and cardboard box, every piece of useless packaging you find yourself burdened by with new eyes. After all, you are being made to pay the bill for getting rid of the crap you’re pretty much forced to buy in today's go-go-go, consumer-oriented society. The tables have been effortlessly turned on us, as corporate capitalism has engineered a hidden history. Rogers opens up the dustbin and what's inside is certainly not pretty, but it is certainly pretty damn interesting. You may not like what you read about in 'Gone Tomorrow', but you are very likely to enjoy reading about it. 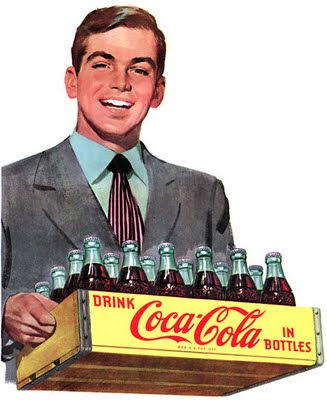 Refilled glass soda-pop bottles (1949). Was this a bad idea? We present Heather Rogers' 18-minute video documentary from 2005, Gone Tomorrow: The Hidden Life of Garbage plus introduction and other commentary by me. It's about the growing mountains of waste generated by a consumer economy based on disposable products. It's about the inability of recycling programs to actually recycle most of the stuff they receive. It's about the massive "Keep America Beautiful" anti-littering campaign--an industry ploy designed to head off anti-disposables legislation. 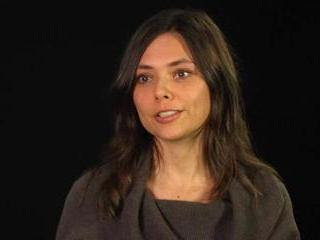 Above:Writer and Filmmaker Heather Rogers. "Gone Tomorrow" was adapted to radio by Robin Upton (http://www.unwelcomeguests.net/). June 21 -- George Carlin Memorial -- Dead and gone three years now. And to quote Network's "Howard Beale": Woe is us! We're in a lot of trouble!